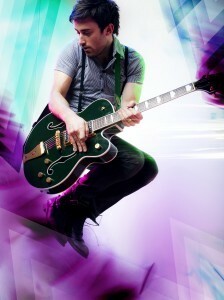 Contemporary Christian vocalist/songwriter and guitarist Phil Wickham will open the national conference of the Fellowship of Grace Brethren Churches with a special 7:30 p.m. concert on Saturday, July 23, 2011, at the Grace Brethren Church, Wooster, Ohio. The concert is sponsored by the Brethren Missionary Herald Company. The concert is included in the price of the full conference registration. Others who wish to attend the concert may purchase individual tickets for $15 each. Wickham is a San Diego, Calif.-based artist who recently released his third album, Heaven and Earth. The album claimed the number two spot on the Christian/Gospel chart on i-Tunes, while the song, “Safe,” topped the Christian/Gospel singles chart at number 1. “Safe” also placed in the top 20 on Billboard’s Christian AC and Sot AC/Inspirational charts and has the support of more than 75 stations. He has toured with some of the industry’s most renowned artists, including MercyMe, David Crowder Band, and Shane & Shane. The corporation meeting and dinner for the Brethren Missionary Herald Company will precede the concert. To register for conference, purchase tickets for the BMH dinner and meeting, or register for Connecting Through Communications, a workshop sponsored by the Brethren Missionary Herald Company and also held on Saturday, see fgbc.org and click on the Vision2020 Leadership Conference. Phil played at the Grace Centre in Mississauga a couple of years ago. Phenomenal talent!